Further Experiments on the Constitution of the Electric Spark. A rare original article from the British Association for the Advancement of Science report, 1908. - T. ROYDS, M.SC. T. ROYDS, M.SC. - Further Experiments on the Constitution of the Electric Spark. A rare original article from the British Association for the Advancement of Science report, 1908. 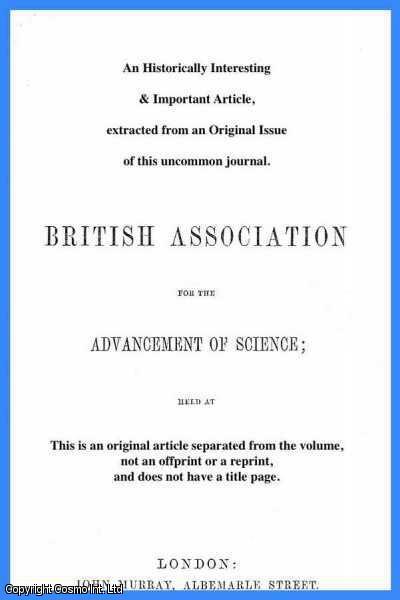 Report of the British Association for the Advancement of Science, 78th. Meeting, Dublin,1908. 1908. First Edition, Disbound. Very Good Condition. Octavo. 2 pages. Note; this is an original article separated from the volume, not a reprint or copy. Quantity Available: 1. Category: British Association for the Advancement of Science; Inventory No: 214366.